Come fall, Cleveland will have a new food-themed fest to call its own. 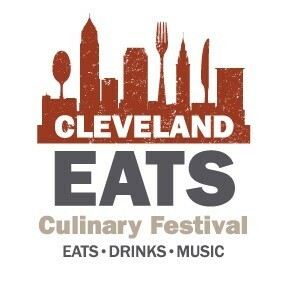 The two-day Cleveland Eats Culinary Festival, organized by the Hospitality Management Center of Excellence at Cuyahoga Community College, will take place Friday and Saturday Sept. 15-16, on Mall B above the Huntington Convention Center of Cleveland. Plans for the new event came together this week at a gathering of some the city’s top chefs. The region’s food culture, chef-driven restaurants, craft beer scene and local farms will be the main focus of the event, say organizers. A Culinary Council has been established to help steer and plan the festival. 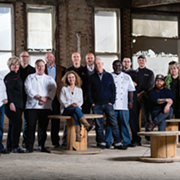 On that board are local food pros like Ben Bebenroth, Jonathan Bennett, Brandt Evans, Heather Haviland, Douglas Katz, Jonathon Sawyer, and Karen Small. The family-friendly festival will include culinary competitions and classes, food from the region’s top restaurants, craft beer tastings, and live entertainment. A gala preceding the festival will raise scholarship money for Tri-C culinary students and the city’s next generation of chefs. 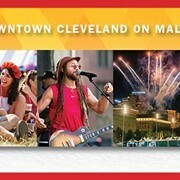 The Cuyahoga Community College Foundation will host the event at Tri-C’s Hospitality Management Center and Pura Vida restaurant on Public Square.